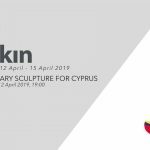 Thirty four original sculptures by Auguste Rodin(1840-1917) and friends are on show at ARUCAD at Şair Nedim Street, Kyrenia commemorating the 100th anniversary of the artist’s death. This is a must-see exhibition of Erbil Arkın’s personal collection. The show is open until 2nd December, between 9 am to 6 pm.